If you’ve ever felt a bump from behind while driving and heard that sickening crunch, you know what it feels like to realize that someone has just rear-ended you. And that means coping with the hassle of getting the other driver’s information, putting your car in the shop and dealing with an auto insurance company. So if the damage to your car looks minimal and the other driver offers to quickly settle the matter by giving you cash on the spot, you might be tempted to take the money and try to put the whole thing behind you. People are generally terrible at estimating repair costs — even for damage that is easily visible. There can be hidden or structural damage. You could have injuries and not realize it right away. 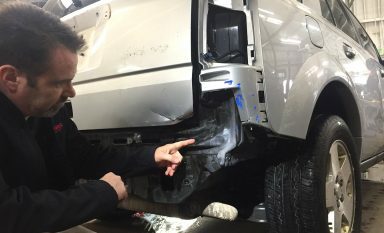 “Never accept cash on the spot for anything,” says Mike Ludeman, owner of Western Auto Body, a repair shop in Sebastopol, California. He says people routinely underestimate the cost of repairs after a collision. One broken taillight, for example, can cost $300 because the entire assembly needs to be replaced. Ludeman recalled a Toyota Prius that came into his shop after it was rear-ended. During a basic visual inspection mechanics estimated repairs at $1,500. But after a fuller inspection the repair bill came in at about $5,000. And that underestimate was made “with a trained eye,” Ludeman says. Damage behind the rear bumper. Newer cars have a large plastic bumper cover. Upon impact the cover can flex in and smash the absorber and reinforcement bar that lie behind it. The bumper dent could even pop back out, leaving little evidence of the damage. Exhaust system damage. An exhaust pipe that’s hit from the rear can be pushed forward, leaving a kink in the pipe. You won’t see that if you’re standing by your car at the accident scene and looking at your bumper. Suspension damage. Even a small impact can push your wheels out of alignment. You might not notice until much later, when you realize your car seems to be pulling to the left or right. Unibody damage. Some cars are built with a “unibody” rather than a frame. The underlying car structure can crumple up like an accordion when hit. 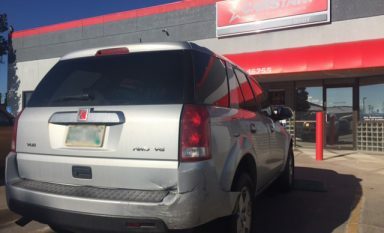 For safety, you should have a professional investigate for structural damage, says Dan Young, brand president at CarStar, a network of more than 430 collision-repair facilities in the United States and Canada. For example, unrepaired damage to your car’s alignment can cause uneven wear and tear on your tires that could lead to a blowout. The damage estimate for this rear-ended car based on what originally could be seen was $2,046; after disassembly, it was $4,451. To understand the extent of the damage you need a professional to put the car up on the rack and take a look. Taking $300 at the accident scene is probably not going to buy you the needed work. An injury may not be obvious at the accident scene, when your adrenaline is pumping. It might be hours later or the next day when you realize your neck is stiff or your knees are sore. Instead, know what to do after a car accident. Get the other driver’s insurance information so that you can make a third-party claim against his or her liability insurance. Take photos of both cars. Call the police. If the police won’t come because it’s a minor accident with no injuries, you can file an accident report at the police station. One particularly unsavory reason for the other driver to offer you cash: He might not have auto insurance at all. 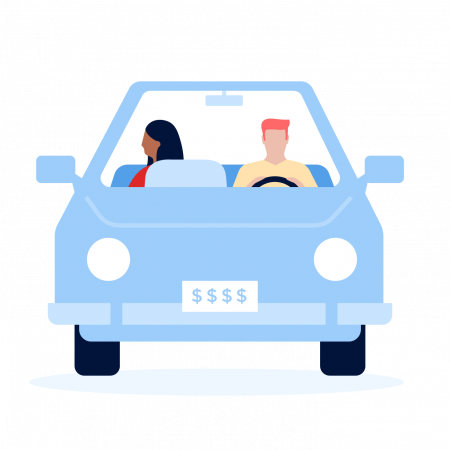 An estimated 12.6% of drivers nationwide drive uninsured, according to the Insurance Research Council, even though almost every state requires a minimum amount of liability insurance. Or perhaps he has a poor driving record already and wants to avoid another insurance claim. If the other driver has no insurance or insufficient insurance, you may be covered by your own insurance. But be sure to get complete contact information for the other driver. This story originally appeared on USA Today. Top image via iStock; others via CarStar.